The U.S. Consumer Products Safety Commission issued a recall alert on August 24, 2016. REPAIR – Consumers should immediately stop using the recalled strollers with the infant car seat and contact Safety 1st for a free repair kit. 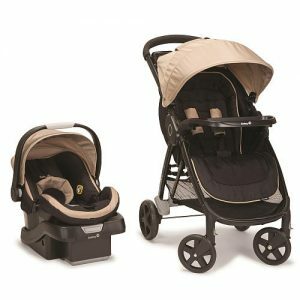 Sold At: Babies R Us and other retailers nationwide and online at amazon.com, babiesrus.com and Walmart.com from May 2015 through June 2016 for between $250 and $300. Safety 1st toll-free at 866-762-3036 from 8 a.m. to 5 p.m. ET Monday through Friday, email at stepandgo@djgusa.com or online at www.safety1st.com and click on “Safety Notices”for more information.